In order to treat angular cheilitis effectively, thousands or even millions of people are searching every year for an effective treatment that will get them rid for good of Angular Cheilitis. Some manage to relieve themselves from the pains this skin conditions causes, while others continue to struggle for months with this terrible skin condition. 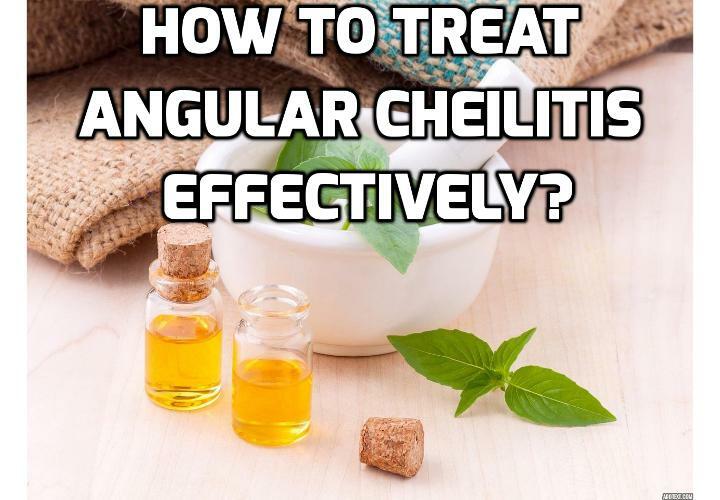 For those who are still trying to get rid of Angular Cheilitis but still have not yet found a good result, here are some tips which may help you to treat angular cheilitis effectively and make your fight easier. As you probably know, the first thing you have to do when the first signs of Angular Cheilitis appear is to discover the cause which determined the apparition of this skin condition. You can make an examination of the area and see if there have been folds where moisture could be retained. If you have had some teeth pulled out or if you are wearing dentures, such folds may appear in time. If this is the issue, you should fix that by making an appointment to your dentist. Also, some blood tests will show you if your body has all the nutrients and vitamins it needs to function properly. In most of the cases, the Angular Cheilitis is triggered by malnutrition and anemia, thus making these tests will help you see whether this is your case, too. Apart from addressing the problem from the interior to the exterior, you will also have to apply some creams or ointments which will alleviate your suffering and at the same time will actively work on the sores. What most Angular Cheilitis treatments do is create a dry environment in which the bacteria cannot develop and trap them between the layer of cream and the layer of skin, thus killing them. Hydrocortisone, Mycolog II cream (which contains triamcinolone acetonide and nystatin) and Miconazole are the most popular medications prescribed by dermatologists in such conditions. In addition to that, it is advisable not to stay in cold or humid places, not to lick your lips, drink plenty of water and include in your diet foods rich in vitamins and minerals while excluding the ones which contain chemical additives and saturated foods. By using the above steps to treat Angular Cheilitis effectively, you will be able to keep it under control and even treat it for good if you stick to the program your dermatologist established for you each and every day. Previous PostPrevious What are the Foods to Eat for Angular Cheilitis? Next PostNext What are the Minor Issues which Aggravate Angular Cheilitis?